Everyone is invited to join us for a free meal in our fellowship hall following this Sunday morning's worship service at Noon. 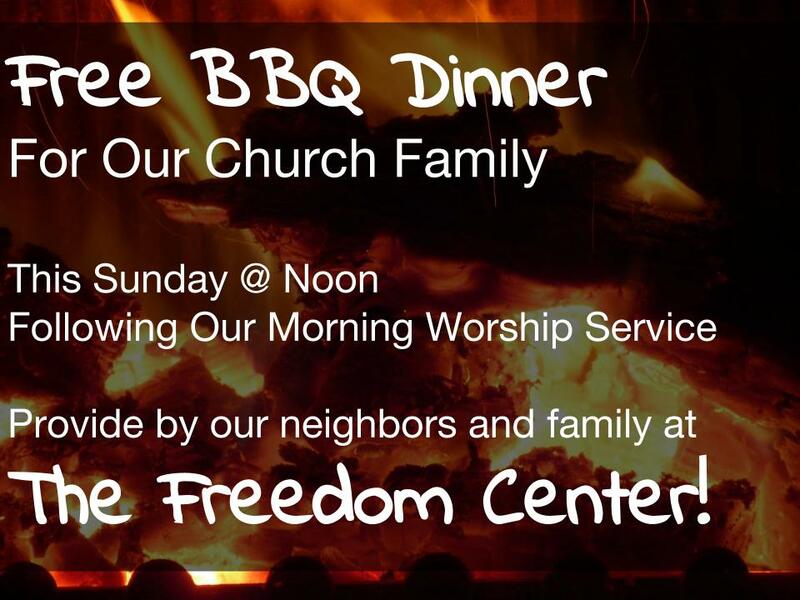 The church family of The Freedom Center is offering this meal as an act of love and support. The meal will include BBQ and all the fixings.